Employees often resign when they feel unchallenged, bored, frustrated or have a bossy manager, tumultuous relations with colleagues or poor culture in the organisation. There could be other personal reasons to quit as well. But when one decides to quit, some choose to go “by the book” and others prefer an “impulsive” resignation. The first category of employees are obedient ones. They make sure that they receive every penny of handwork they have invested in the organisation. But when you decide to quit on impulse, make it worthwhile. Your resignation should be compelling enough for your colleagues and seniors to remember you for the guts you mustered up in the end. When your path is not steer clear, it’s time to walk past the hell. Take a look at these creative ways before quitting the job. Do you know that these days the instant messaging app is also used for instant resignations? Employees have reported that they have texted resignation to their managers via whats app. Sadly some of them saw only a blue tick in response and nothing beyond! Can you believe that people can put their heart and soul to prepare for the day when they resign? A game developer Jarrad Farbs resigned in an epic way by designing a complete Mario game. 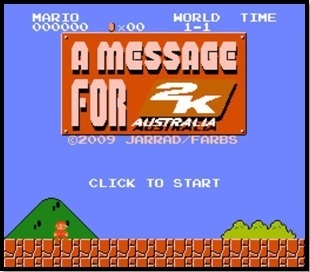 He resigned from his designation 2K Australia after creating a Flash game featuring Mario. He announced his leave at the end of each round. 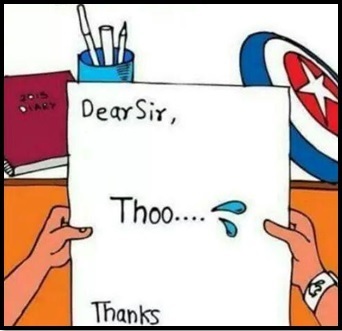 Can anyone be so creative in resigning from their current job? Especially when your resignation becomes a crazy source of entertainment for others! When you don’t have the right words to express your anger and frustration, don’t bother! Send across flyers to quit. Publically announce your team and other colleagues that you are leaving the workplace without having to explain much. Pen down “I Quit” on a piece of paper and make sure that it reaches everyone who knows you. In fact your boss should be the first person grabbing hold of this flyer. And then life is all yours! Plan and prepare for the rest of the days that you have by your side. 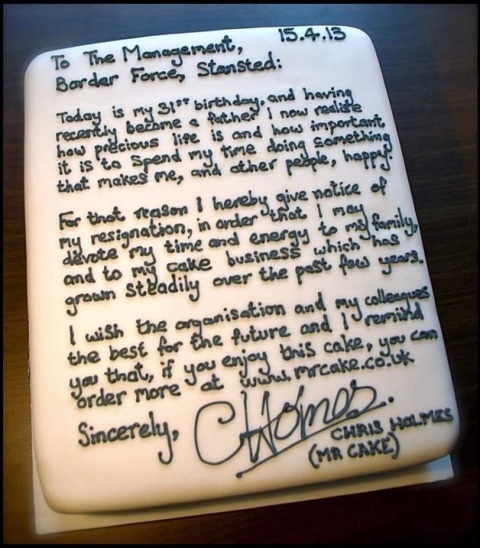 To pursue his dreams of running his own cake business, he resigned from the reputable job of civil servant in his country. Such was his love for the business that he didn’t leave a chance to grab a few clients from his current workplace. If you are a radio jockey and your job no more keep you spirited, announce your resignation on air. Let everyone know that your voice is not going to please their ears anymore. Do you work as a news anchor on television and your rotational shifts are taking toll on your health? You can use this amazing platform to declare that you have lost interest in the job and that you won’t be telecasted anymore. A news anchor named Charlo Greene left her job during a live broadcast. While reporting on marijuana legalization, the anchor announced, “I quit.” Her reasons were quite different to quit the job. She wanted to support the consumption of marijuana. She even expressed her wish to dedicate her life to fight for legalization of the controversial herb. Know someone who wishes to quit from their job with a unique twist? Share this article with them and help them make their way out of the monotonous workplace. You can also share with us your creative ideas on quitting the job creatively. To get more interesting updates on office life, keep visiting https://www.jagranjosh.com/jobs .